Robert Sheridan is the quiet genius at the firm. Although a towering figure, he is most often found cloistered behind stacks of law books and volumes of research materials, pouring over legal opinions to form the foundation of some of the most complicated and precedent-setting cases. His calm, studied manner is a comforting sight in the frenetic pace of the office. 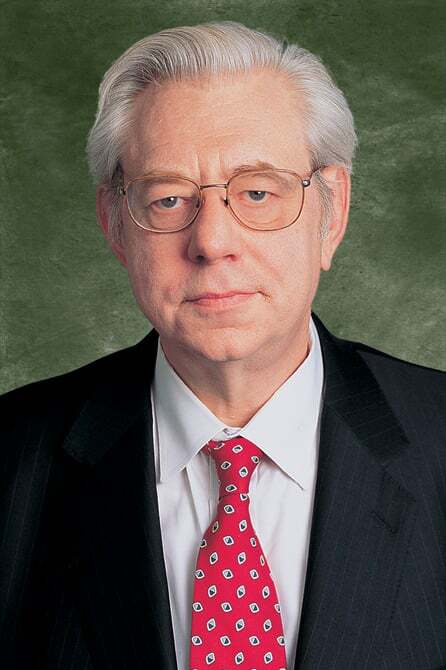 Mr. Sheridan has devoted his legal career exclusively to complex litigation and appellate law, which he taught for many years at DePaul College of Law in Chicago. Mr. Sheridan handles a number of the cases appealed by defense firms and insurance companies, including the appeal involving the highly-publicized case involving internationally-acclaimed violinist Rachel Barton who was severely injured in a train accident. Following a month-long trial, Robert Clifford obtained a $29.6 million verdict, but defense attorneys appealed, including immediately petitioning the Illinois Supreme Court on the issue of an allegedly biased juror, an issue on which Clifford Law Offices prevailed. The final verdict obtained on behalf of Rachel was $35 million. Mr. Sheridan also was instrumental in constructing successful novel arguments on behalf of a young girl who was assaulted in a Chicago housing project where it was alleged the Chicago Housing Authority was negligent in their failure to adequately patrol the area. Mr. Sheridan can frequently be found huddled with his colleagues, brainstorming on sensitive and complex legal-ethical issues. Clifford Law Offices is proud to have Robert Sheridan as an invaluable resource. His brilliant and creative arguments are widely respected in the profession.